I’ve been away and I’m going to fill you in or bore you to death. Your choice. But first, I’d like to deal with a couple of events that happened while I was gone. And speaking of gone, I don’t think baseball will be quite the same with Vin Scully gone. When John Stumpf, CEO of Wells Fargo bank testified before Congress, I found myself guessing that many employees didn’t come up with the idea of opening fraudulent accounts without some boss, or bosses pushing them toward it. The Presidential debate didn’t change my mind. I still don’t like either of them. Gary Johnson is never going to be elected President running on the Libertarian Party ticket, but he sure didn’t help getting his ideas out there with his recent foreign policy goofs. East Korea Gary? Really? Saint Karen (who has to be a saint to put up with me) and I have been vacationing in Florida. I’d like to move there, but our vacation has made me reexamine things. Saint Karen thinks Florida is too hot. That’s nonsense. Our house in the New York metropolitan area isn’t air conditioned. It’s hard to find a house in Florida that isn’t air conditioned. So, if we moved there, she’d enjoy AC and I’d be cold all the time because she turns it down and I turn it up. Something to bicker about. Not something new, because we generally don’t bicker now. 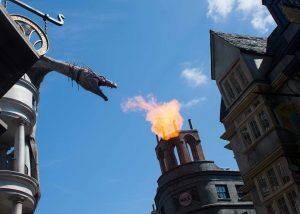 New theory: Florida is so much warmer than a lot of other places because they have fire-breathing dragons there. We spent three nights at the Portofino Bay Resort Hotel in Orlando, FL. It’s one of the hotels associated with Universal Studios Florida theme park. It’s nice, but it’s expensive. A few minor things went wrong, but the hotel stepped up to fix them just fine. Things always go wrong from time to time, so isn’t how things get fixed the real test? Lindsay at the concierge desk was able to switch my reservation for the Blue Man Group show from Thursday night to Friday night, with no extra charge to me. I was hoping to take a nap before a Thursday night show, but we had a late check in and without a nap, I was too tired to go. So, kudos to Lindsay. The late check in, by the way, is one of the things the hotel stepped up to make amends for. The Blue Man Group was very good, but extremely noisy. Before the show, they tell you to turn off all electronic devices. In case you’re wondering, unless you’re profoundly deaf, you can include hearing aids in that. This isn’t a complaint about this hotel, but about the hotel industry in general. Services that are common at lesser hotels frequently carry additional fees at full-service ones. I have never heard of a hotel where the rooms cost over $200 a night that provided a free continental breakfast. And, honestly, luxury hotels, free WiFi is almost a basic human right by now. You don’t charge for cable TV anymore, so stop charging for high-speed internet. Less expensive hotels don’t, and your Internet isn’t any better than theirs. We’re on vacation to lift my wife’s spirits. She had surgery recently. But, because of the surgery, she didn’t think it wise to ride the roller coasters. 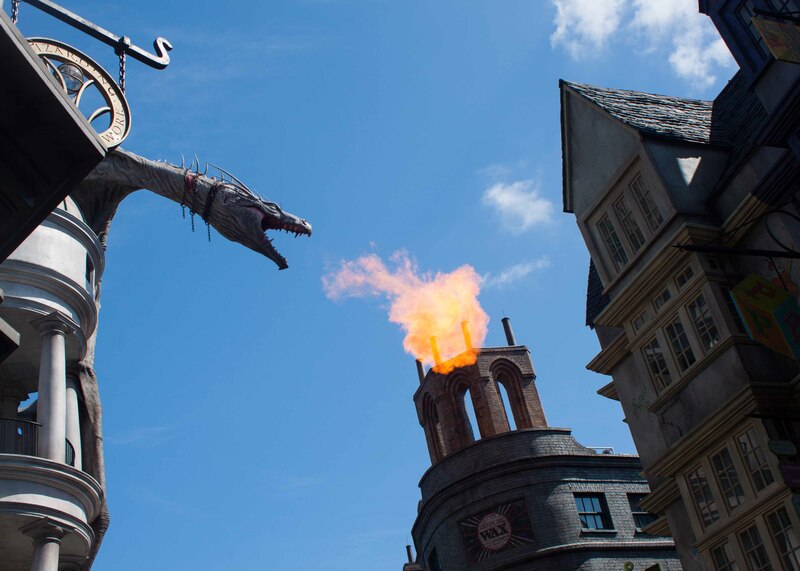 If you’re not going to ride roller coasters, I’d say there isn’t a lot for you at the Universal theme parks. Also, in late September, the hours are short and they have a separate Hallowe’en event with separate admission after the day’s attendees are turned out. Admission to the theme parks is costly too and I didn’t like that separate second admission at all. More on our travels next time.